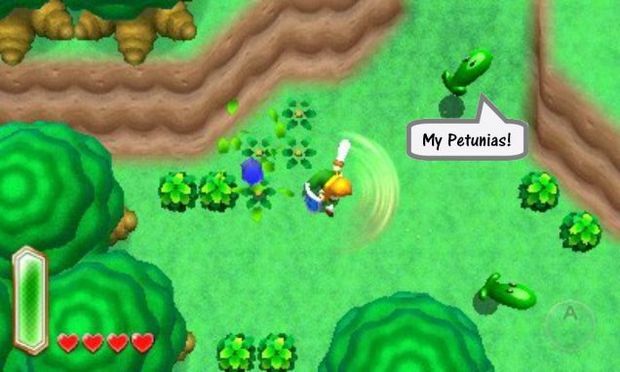 Which videogame characters would help you move? A month ago, I moved into my new home. The house is a big project in itself, with lots of renovation work and plenty of TLC required. Between the DIY and the new school term, I've had very little time to game in the last few weeks. That hasn't stopped me thinking about videogames, though, which is how we've arrived at the vitally important question above. Peruse my suggestions below. You'll see I've put a great deal of thought/far too much thought [delete as appropriate] into selecting the persons that I would want helping me and those that I feel would make really bad choices. After reading, I hope you'll have a few suggestions of your own. This odd little query began to roll around in the chasm that is my brain hole well before the actual move. Between sorting and cleaning the old apartment I would steal the odd half an hour to play Fez. I'm so glad I got around to playing this charming little puzzle-platformer. When I had to put the game down and return to boxing up my possessions, I would mull over all the ways that Gomez, the protagonist, could use his perspective switching ability to benefit me. I knew that once these boxes were packed and shipped to the new residence, they would need to find a sensible spot to go so that they weren't taking up too much space. I'd also need to decide where all my furniture would look best. Gomez could offer me a unique perspective; I might think that the sofa looks fine facing one direction, but the little cutie would quickly tell me that this angle would look better. Add to that the fact that the adorable fellow is quite nimble and no stranger to carrying heavy objects, and you have a very helpful moving companion. But let's not get ahead of ourselves; first we need to pack. All of your clothing, books, DVDs, pictures, furniture, family pets*... all need to be packed into neat little boxes ready to be sent off to the new abode. The unpacking can be done gradually, and is usually enjoyable, as you get to plan out where everything goes. Unfortunately, sorting and packing proves to be a more laborious and tiring adventure. 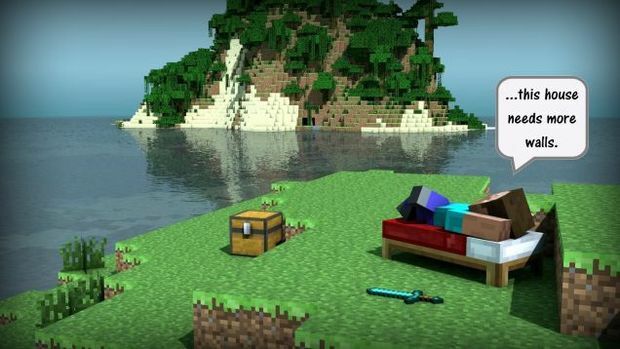 I would have liked Steve from Minecraft to help me. Even the items that don't stack won't cause any hardship. In my latest move, the most cumbersome and awkward item to transport was my mattress. The act of carrying the overgrown cushion down one flight of stairs, stuffing it into the back of a van and levering it up another flight of stairs was unnecessarily taxing. Steve, on the other hand, would have taken a few casual swipes at the fluffy thing, miniaturized the mattress (and bed) in one go, and then popped it safely away alongside a pile of my miniaturized neckties. Simple, effortless and, above all else, really entertaining to watch. 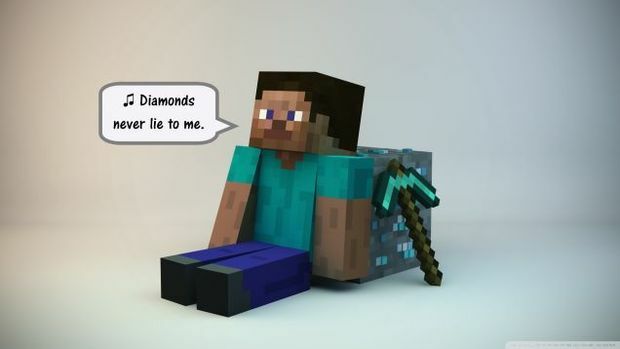 Just make sure Steve leaves his pickaxe in his own home. You don't want him knocking a wall out. We need a driver, and who better than Franklin from Grand Theft Auto V. The logic behind this choice (if we can call this a logical discussion) is twofold. Firstly, Franklin has become so staggeringly awesome that he has the ability to slow down time. Secondly, as with all GTA characters, he has the power to disobey all traffic laws without upsetting law enforcement. Only by bumping a police car or an unwilling pedestrian will Franklin incur the wrath of the police. These two attributes combined make Franklin the ideal person to move you and your items quickly and efficiently to your new home. But let's be realistic. All this talk of miniaturization, reality bending and time manipulation is all well and good, but we have to appreciate that our world does not yet accept these insults to physics. So let's pick a more sensible option. Let's see... Ah! Got it. 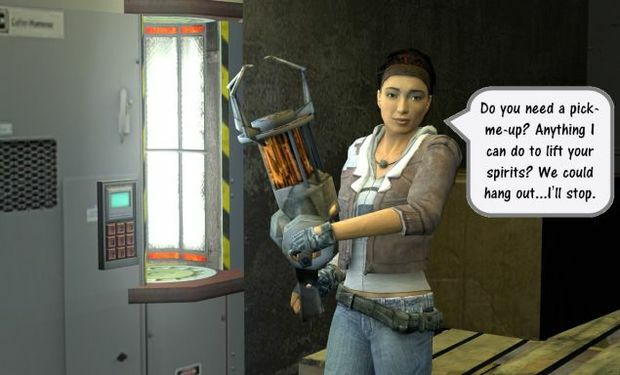 Alyx Vance from Half Life 2 could help you move... and she could bring her Gravity Gun! Alyx is one of my favorite deuteragonists of all time. Intelligent, resourceful and incredibly likable; she more than makes up for Gordon Freeman's reserved nature. Alyx is a pragmatist and has no aversion to rolling up her sleeves to help out. She also knows her way around electronics -- very useful if the circuitry or lighting in your new digs need updating. 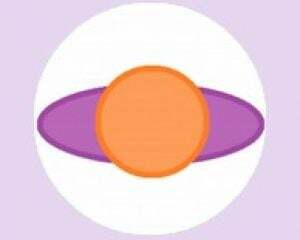 But she'd prove especially helpful if she brought the ZPEFM along with her. Moving the wardrobe or dining table into place would be easy-peasy if the Gravity Gun could be used sensibly. And the Gravity Gun is best placed in Alyx's hands; you wouldn't want to accidentally fire your Television across the front garden. One last suggestion: Snake from Metal Gear Solid would make a good addition to the "moving team". This was actually a suggestion from a reader. And what a great suggestion. Snake would be the ultimate choice for one job that is often overlooked; when all your stuff is unpacked and in its place, there's still one more thing to do: those empty cardboard boxes need to be tidied away! You could recycle them, try to pass them off to someone else... or you could let the guy with the love for boxes take them off your hands. 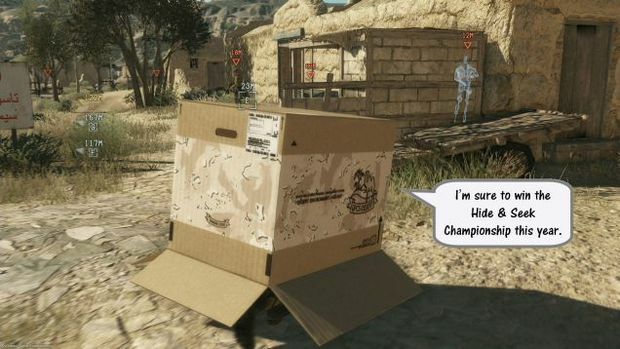 It doesn't matter how many you have, Snake can neeeeever have enough boxes. Just be aware that he may try and prank you before he leaves. If he suddenly "vanishes", just look for the box that's trying not to giggle. Moving is exhausting and boring. Games are relaxing and fun. Combine those things together, and what do you get? That's right: really confused looks from your new neighbours. More importantly, you'll get the task completed in no time. Now if you'll excuse me, I'm off buy some plants for my new back garden. Does anyone know where I can buy Peashooter Seeds? Have you got any suggestions for game characters that would make moving easier? Leave a comment below. I'm pretty sure this will be the most important question you have to answer this week.